Atiku Abubakar, the former presidential candidate of the Peoples Democratic Party has been accused of not being a Nigerian. 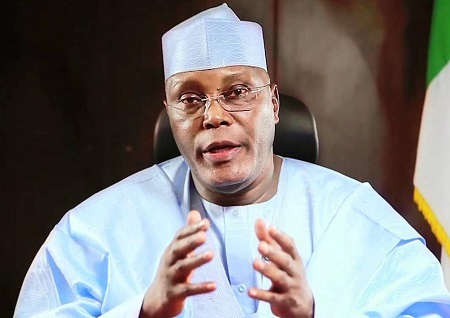 The All Progressive Congress (APC) and the winner of the February 23, 2019 Presidential Election, has filed a motion at the Presidential Election Petition Tribunal in Abuja that the candidate of the People’s Democratic Party in the poll, Alhaji Atiku Abubakar, is not a Nigerian and therefore not qualified to have stood for the election. The Party claimed that the former Vice President is a Cameroonian and not a Nigerian citizen and his petition against President Muhammadu Buhari, its own candidate, should be dismissed for lacking in merit. Atiku had in his petition with reference number: CA/PEPC/002/2019 faulted the conduct of the February 23 Presidential Election on the ground of non-compliance with relevance electoral laws and other malpractices such as intimidation of voters, the unlawful arrest of his sympathizers and the harassment by soldiers and other law enforcement of those wishing to vote for him.